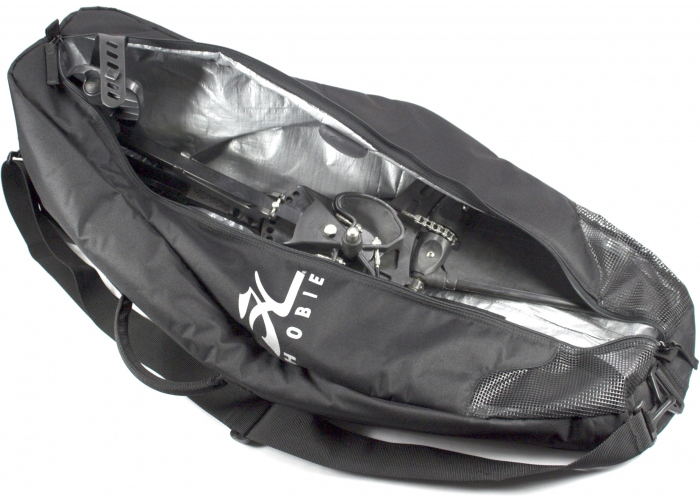 Brighton Canoes is pleased to be able to offer the following Hobie Kayaks accessories. 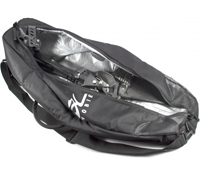 We are apply to supply the complete range of Hobie Accessories & Equipment. If you are interested in a product no listed please call us on 01273 513200 for prices & availability. your investment from an accidental drop overboard. Includes hardware for attachment to the hull. 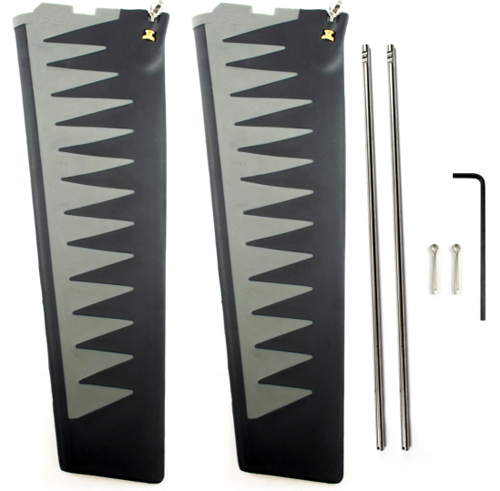 Hobie offer 3 different types of fins for use with the MirageDrive System - Standard, ST or ST Turbo. 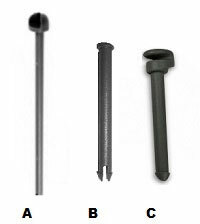 These are the equivilent of low, medium or a higher gear! 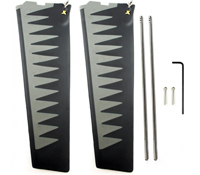 The standard fins, supplied with the Hobie Kayaks, are the easiest pedaling fins. The ST (Square Tip) designs will require a bit more effort to pedal but the result is more power & speed. This can be particularly useful when sailing. 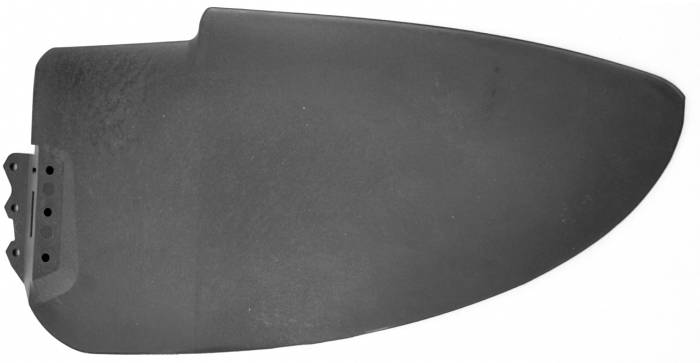 Over-sized sailing rudder blade for the Mirage series kayaks for a more responsive rudder control. 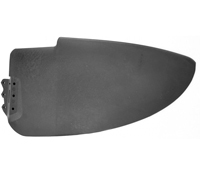 Replaces smaller rudder blade on the Mirage Twist and Stow rudder system. Hobie moulded in rod holder extensions. 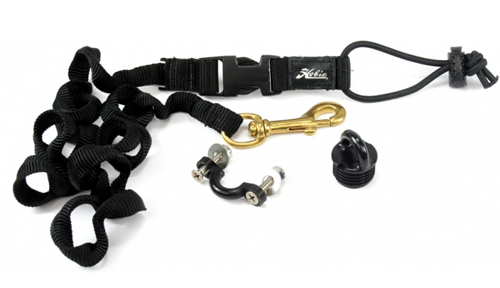 Keep your fishing rods secure & reels higher out of the water. These fit into the molded-in rod holders & offer a larger diameter sleeve that is deeper. Get a grip on your steering. More comfortable hand position - better leverage. 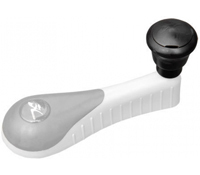 Knob only, fits all 2011+ Mirage model steering handles and all Tandem Islands. 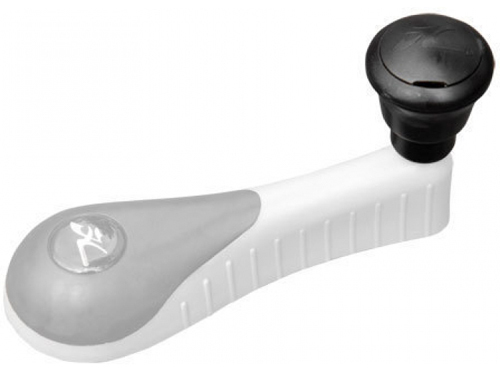 Includes knob, cap and attachment bolt.